The pride resonated off of the smiles of the proud parents whose child prepared to accept his prestigious award. Soon he will have shed the title of ordinary vitamin and become a heroic figure in the vitamin community. While his friends goofed off, he remained dedicated to his goals of improving eyesight and clearing skin and for his hard work the vitamin naming committee is preparing to present him the highest honor in its fictional history. He is to be given the apex of all pseudonyms, Vitamin A. Before he could receive such a high honor, this vitamin decided he had to prove himself once more. He decided to start a fight with the most dangerous kids on campus, the Cancers. The soon to be Vitamin A went up to a member of Cancer named Stomach and pushed him. A crowd quickly gathered as the showdown began. Luckily, a member of Liquid Energy was in attendance to witness the event. Vitamin A gives Liquid Energy its Great Skin! Vitamin A began life as a fat-soluble nutrient that had a passion for ophthalmology (eyes). His contributions to the eyes are so great that neglecting Vitamin A can lead to poor vision and if left untreated can turn into legal blindness. This vitamin also has a passion for dermatology by supporting the development of skin cells and bone tissue. He has been doing a lot of training in the immune center to prepare for this fight against Stomach Cancer. Vitamin A was quickly a hit at the immune center after helping to protect and support the growth of cell membranes to fight off infection and increase white blood cell activity. As the crowd gathered, people began to cheer wildly as Vitamin A prepared to take on the 4th deadliest member of the Cancers. With 800,000 reported murders this year alone, few people expected Vitamin A’s contributions in the immune center to match up with Stomach Cancer’s destructive might, this Liquid Energy employee included. Among the crowd were Swedish fight fans that began to analyze the brawl between these two titans. 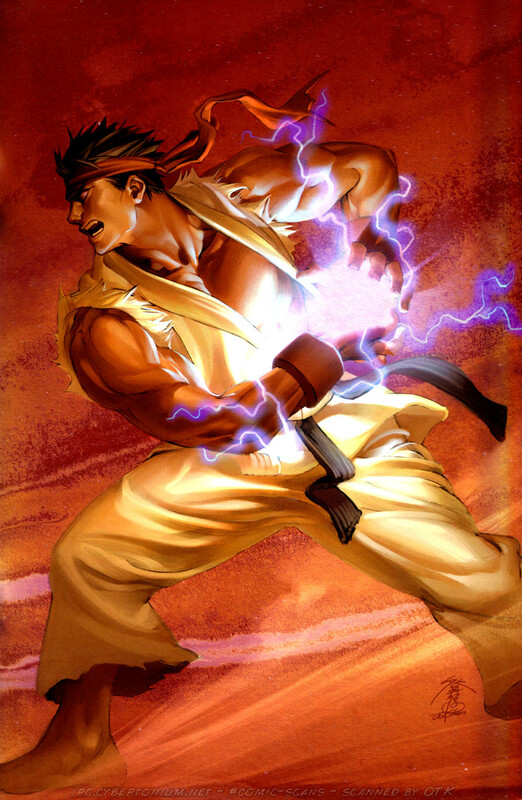 After spending hours of research, they began to accumulate metrics as to the effectiveness of each fighter. The most interesting of these metrics is that their study suggests that Vitamin A may reduce the likelihood of a body being overcome with Stomach Cancer by up to 44 percent! This data came about after studying 36,000 women and 45,000 men who provided data about their eating habits and how frequently they consumed certain foods. After an average of 7 years, the researchers followed up with the patients and found that 139 of them contracted Stomach Cancer. By comparing how frequently volunteers consumed foods rich in Vitamin A with the rates of Stomach Cancer, the researchers were able to determine the effectiveness of Vitamin A in combating Stomach Cancer. In this report, the researchers also state that the more common form of Vitamin A, beta carotene, possesses the same stomach cancer fighting qualities as Vitamin A. This is positive news because the body stores Vitamin A and with constant intake of Vitamin A it can reach toxic levels. Beta carotene on the other hand is water soluble which means that once you receive enough the body flushes out the excess, thereby avoiding toxic levels. This usually makes your pee turn neon. You can read about my experience with this by reading "My Liquid Energy Experience"
I can get Vitamin A with Liquid Energy?!? You can find foods with Vitamin A by eating things such as liver, kidney, egg yolks, and fish. Beta Carotene can be found in brightly colored fruits and vegetables like melons, carrots, red peppers, and dark leaf greens. Supplements are another great source of Vitamin A and beta carotene as the average American diet is usually deficient. 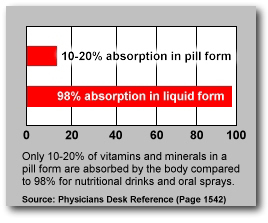 With the purchase of Liquid Energy’s premium liquid vitamins such as Biometic’s Biofuel (100% of daily requirements) and Biometic’s Cell Care (50% of the daily requirements), you can receive your daily required dosage in a single drink! Learn how Selenium can help protect you from the sun. Learn how Tyrosine can fight depression.